They’ll be raising the roof in this Harlem holy house again. A developer finalized a deal last week to buy the long-shuttered St. Thomas the Apostle Church, and he plans to save the historic façade while converting the interior into community space. GLORIOUS PAST: Top left, St. Thomas Church in its heyday and, above, awaiting a $2 million rehab job. The West 118th Street parish was down to just 36 families when the Archdiocese of New York decided to close the hulking, deteriorating structure in 2003, stripping out the storied stained-glass windows, pipe organ and altar. Efforts to landmark the Thomas Poole-designed building, constructed in 1907, failed, and the church, which has been covered by scaffolding for years, has sat in limbo ever since. It stayed that way until Ken Haron of Artimus Construction was able to purchase the church, rectory and another plot for $6 million. Haron says about $2 million is needed to outfit the church for community use that could include a 200-seat performance space. Haron said he hopes to turn the space over to the Mama Foundation, which specializes in the arts and musical performance. After years of neglect, only about half of the now-deconsecrated church can be saved. The rear half will be razed for an outdoor yard. 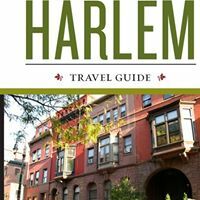 The adjacent rectory, with its cast-iron fireplaces and stained-glass windows, will be turned into a condominium, said Haron, who built one of Harlem’s first new condo buildings across from the church a decade ago. Haron will also create a 70-unit, 12-story, mixed-income residential building at the rear of the St. Thomas property. It could take up to four years to complete the project. “We’re trying to . . . restore the façades of [the church and rectory] so the streetscape looks like it used to 100 years ago, more or less,” he said. It will take “many millions” to repair the damage done to the building, said Haron, who declined to specify the costs of the repairs but plans to reuse much of the intricately carved ornamentation in the reconfigured building. Haron’s plans met with approval from the New York Landmarks Conservancy, which has been eyeing the site since its closure.